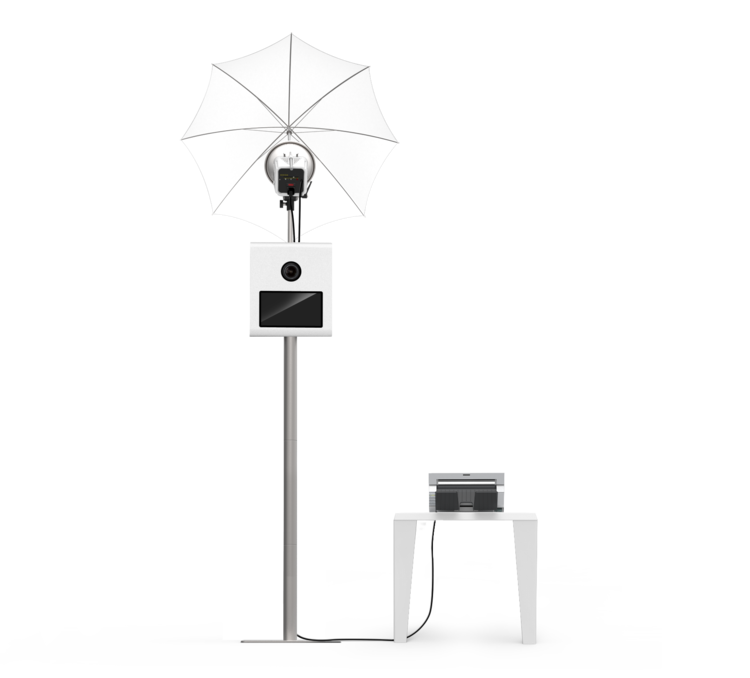 The Island Photobooth is an open-air photo booth, a complete world away from the cramped box photo booths you'd find in shopping malls. Our no walls concept means the booth can be setup anywhere you want, you can choose your backdrop and you can fit lots of people without unnecessary squishing! It's a luxury experience that guarantees plenty of smiles, fun and laughter at your event. Expect awesome photos that are unique to your event, and plenty of memories to share. We setup the photo booth one hour before the time you've paid for to ensure everything is perfect for your guests. And our booth butler will be there the whole event to show guests where to stand, how to use the booth and troubleshoot should any issues arise. But most importantly they are there to make sure you have fun! Are you a Facebook fanatic or trending on Twitter? Don't let the moment end, share all your photos straight from the booth. Our booth has the ability to share on Facebook, Twitter & Pinterest. You can also send your photos via email. It couldn't be easier to share your memories. If physical prints are more your thing our booth prints out your photos in a matter of seconds. They make the best favours and can be shared with friends and family. You can also download a high res version from our online galleries or opt for a USB drive to keep all those photos safe. Not every venue can provide the prefect backdrop. That's why we have a selection for you to choose from, including luxury sequin backdrops and our green screen. Our prop trunk is follow of fun items to make your photos fun and unique. Looking for something extra special custom props and backdrops are available on request. Time to grab a friend, a prop and strike a pose!